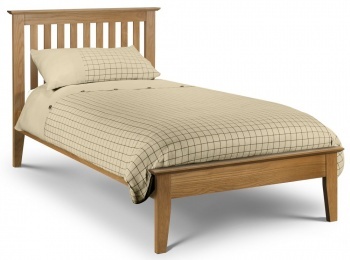 Shaker style giving the bed frame a timeless appeal. 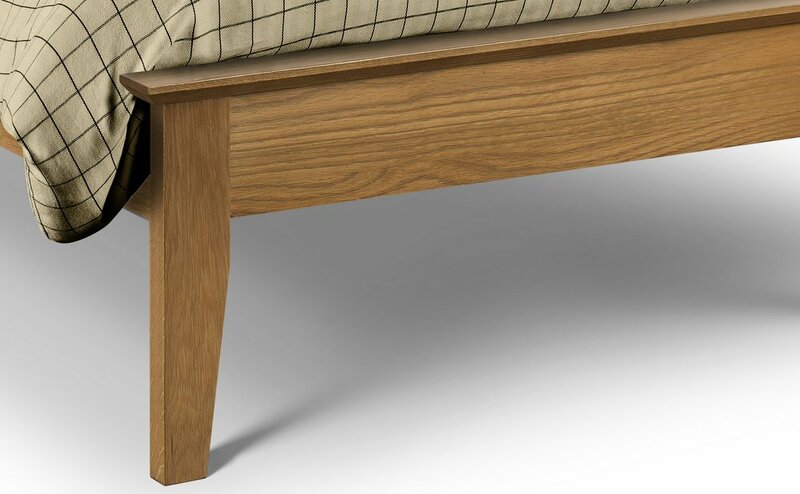 Tapered legs, slatted headboard and low foot end combine to give an elegant look to the Salerno oak bed frame. 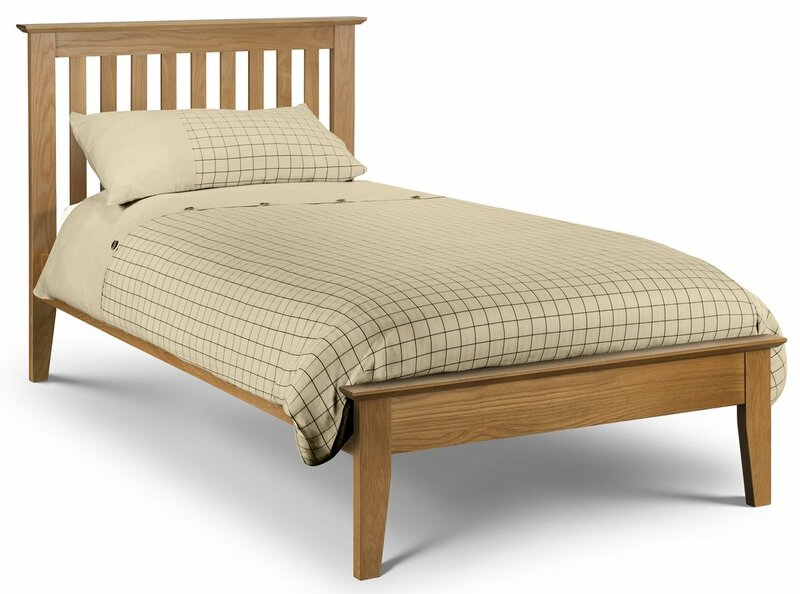 Sprung slatted base for extra comfort and mattress life. Strong and sturdy design. Constructed from solid American white oak. Available as the bed frame only or with the Premier, Deluxe or Elite pocket 1000 mattresses. 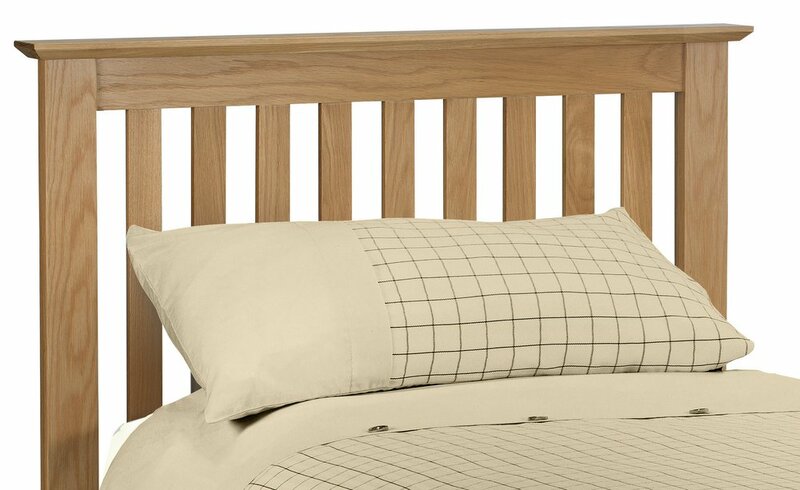 Premier: Ideal choice for children's beds and guest bedrooms. 13.5 gauge Bonnell spring unit. Plastic side edge supports. 900 gsm spring insulator. 270 gsm polyester filling. Belgium damask quilted cover. 18 cm deep. Flat packed for home assembly. Sturdy easy to assemble fittings. Easy to follow instructions included. 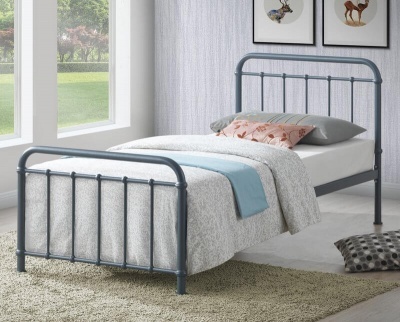 No need to struggle, the Salerno bed frame is delivered by a two man team to a room of your choice. Delivered in two boxes, plus plastic wrapped mattress if purchased. Part of our oak bedroom furniture collection.